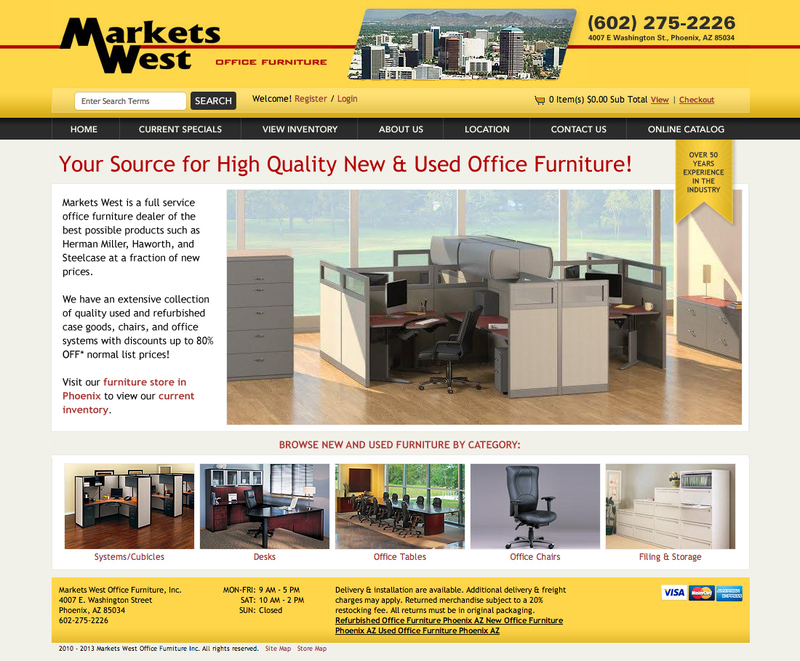 Markets West is an office furniture store in Phoenix, AZ that sells both used and new furniture. The company’s first ecommerce web site was over a decade old. We worked with Markets West to implement an ecommerce system called ProductCart that allows their staff to manage the entire web site. We also designed and developed the web site, building a custom look and feel based on new branding that we created for Markets West. In addition, we optimized the site for search engine optimization and assisted their staff with importing products. The custom ecommerce web site allows Markets West to easily self-manage the store, and add and edit products quickly.